I mentioned before that I was determined to find a scratch fajita seasoning so that I could free myself from our addiction to the McCormick’s Fajita seasoning we’ve been using. And not only did I succeed at discovering a great fajita marinade, but Shelley did as well. (Two are so much better than one!) The recipes are a bit different, so we’ll be posting them separately. You can try them all yourself to find your favorite! I decided to change things up a bit and make Steak Fajitas this time. In a heavy-duty resealable plastic bag, combine 2 Tablespoons of the Olive Oil, and the measurements above of the Lemon Juice, Garlic, Cumin, Garlic Powder, Onion Powder, Hot Sauce, Salt, Pepper, and your choice of meat. Seal and toss the bag around to coat. 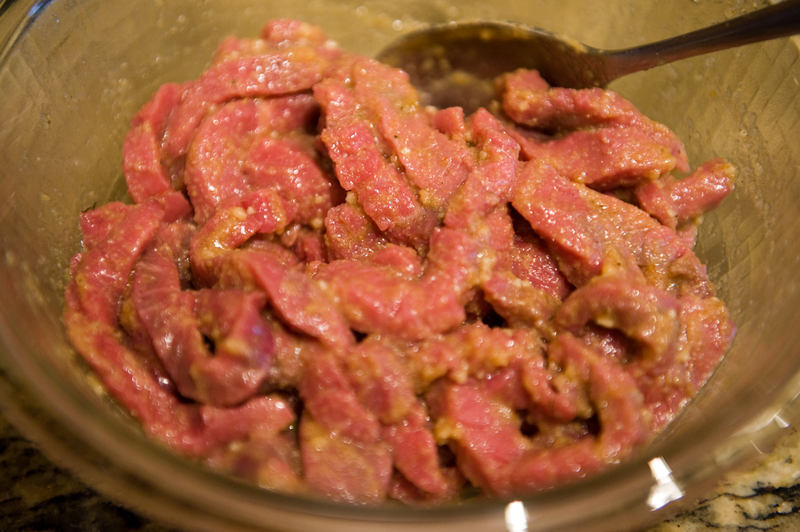 Marinate 1 hour for steak, 20 minutes for chicken, or 15 minutes for shrimp. Heat your grill pan to medium-high heat. Remove the meat from the marinade and place it on the hot grill. 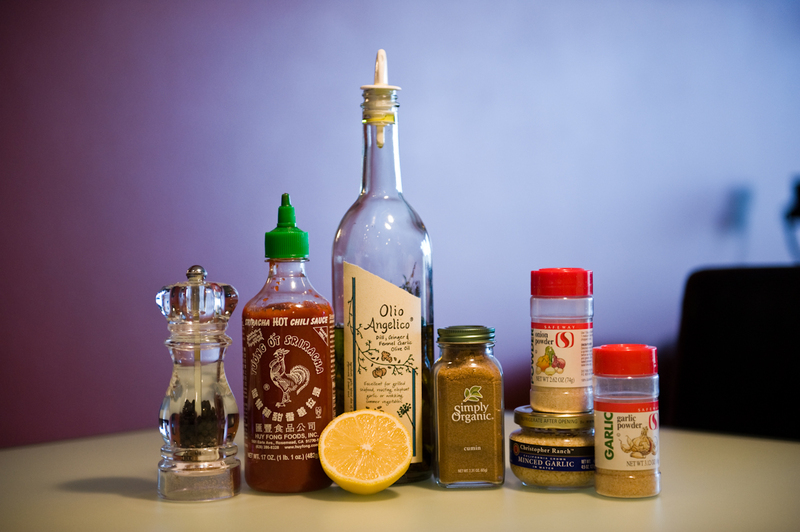 Discard the marinade. If you’re making steak fajitas with grass-fed beef, cook the steak and veggies all at the same time, for about 7-8 minutes (more or less depending on the size of your strips). Remember that grass-fed beef cooks quickly and can dry out if overcooked. If cooking chicken, put the chicken on for about 2 minutes before adding the veggies, and continue cooking for another 8 minutes. Shrimp will only take about 2 minutes per side, so start the veggies first if this is your protein of choice. 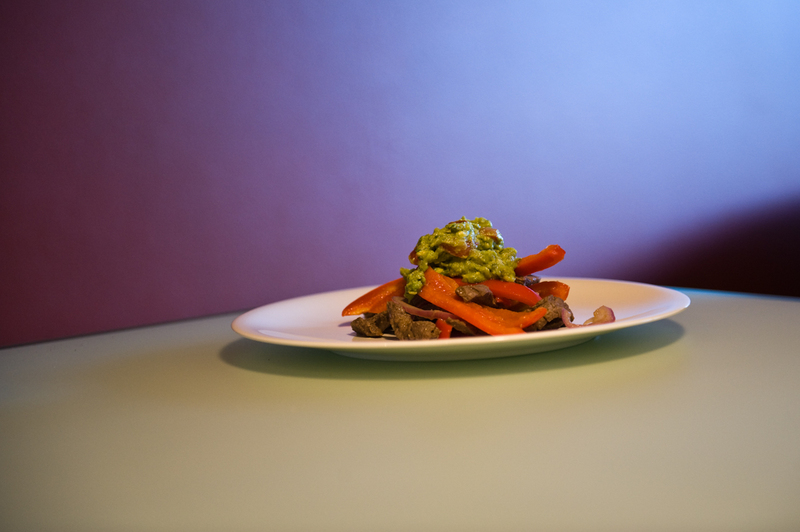 When all is done, gather up your steak & veggies (we like to put them in a bowl), and top with a big scoop of the homemade guacamole! 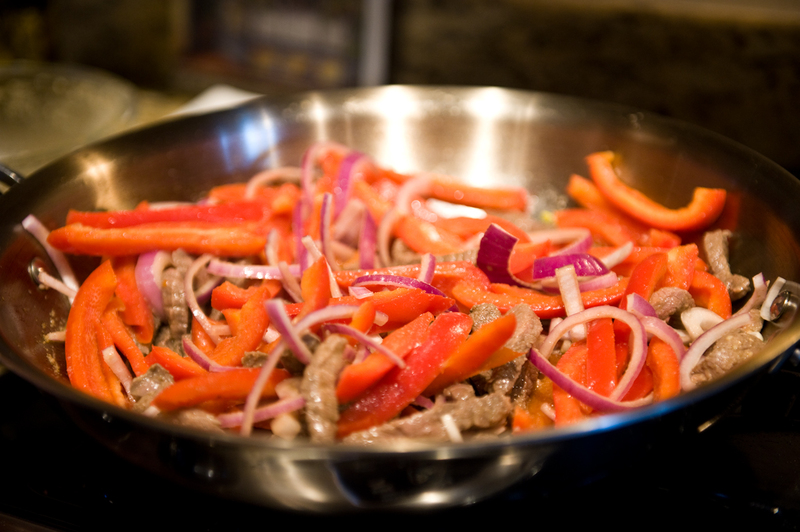 CLICK HERE FOR A PRINTABLE VERSION OF THE STEAK FAJITAS RECIPE! 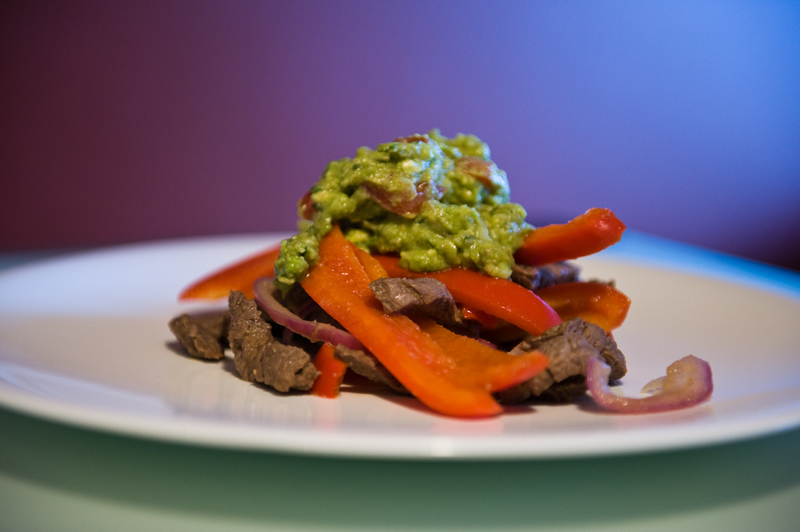 This recipe is 99% inspired by Paula Deen’s “Gold Medal Sizzling Fajitas” recipe 2007. Fantastic photos and a yummy looking dish. Cheers! You ladies rock! Made the chicken and shrimp fajitas last night…Fabulous!! Thanks Victoria! We LOVE getting feedback :) So glad you liked them!! Jake can help you with your real estate needs! Are you a Type 1 Diabetic? Send new posts to your email!